PRESQUE ISLE, Maine—Wintergreen is putting a new twist on its fourth annual CHAIR-ity event this year by expanding the genre of items to be repurposed. From old dishes to barn boards to well-used furniture, local artisans are turning discarded objects into beautiful, artful collectibles. All items will be on display at Wintergreen during the month of November. The Opening Reception is scheduled for November 2, 2018, during Presque Isle’s First Friday Downtown Art Walk. In partnership with the Rotary Club of Presque Isle, all items will be sold online during the 2018 Rotary Auction. Proceeds will go to support scholarships for Wintergreen’s After School Arts Program. People may seek and share items to be repurposed and ideas at Wintergreen’s Repurposing Bulletin Board on the arts center’s Facebook page: https://www.facebook.com/groups/2166639350030013/?source_id=167802888664. 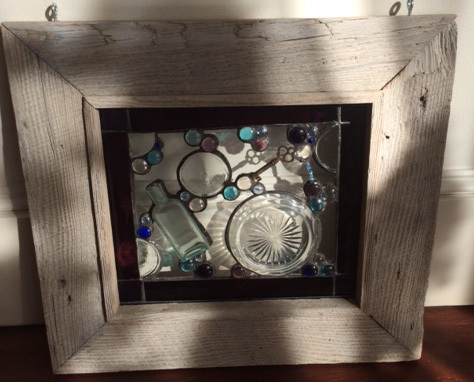 To be included in the online auction, all repurposed art needs to be delivered to Wintergreen by October 19, 2018.